Yesterday we touched on A Slice Of Brooklyn’s pizza tour in said borough. After having enjoyed the pizza you might want to do something even more exciting in NYC. A great classic is the helicopter tour around Manhattan. No matter if you are a seasoned traveler to New York or a first timer, this is great fun for anyone and highly recommended! 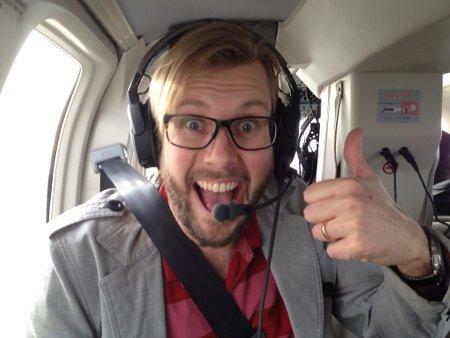 First of all, it is fun flying a helicopter because it is a very special sensation. I have not been on a flying carpet, but this is how I imagine it would be when taking off. Add the spectacular New York City skyline and you have the perfect experience. Enjoy this slideshow on YouTube as a teaser. When I flew for the first time in 2002 I opted for the shortest ride and even if it is only around 10 minutes you will have a great experience and a good view of south Manhattan, Jersey City, Statue of Liberty, Ellis Island and Brooklyn. Naturally, a longer flight will give you even more sights and memories from the Big Apple, so if you have time and money for more do not hesitate. Even if the flight itself does not take very long time, please allow some extra time for registration, briefing, boarding and debriefing. I have flown with both Zip Aviation and Liberty Helicopter and received high quality service from both of them.